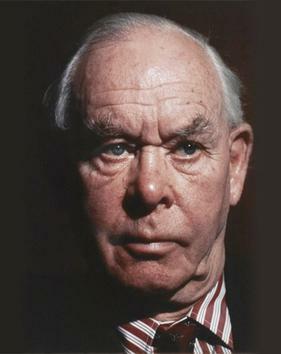 Modern affective Attachment Theory, in its application to infants, has its origins in the work of John Bowlby. Bowlby was a psychoanalyst and psychiatrist working at the London Child Guidance Clinic in the 1930s. He had become interested in the effect of children’s disrupted relationships with their parents when, as a medical student, he volunteered to work in a residential children’s home and encountered a range of abnormal behaviours. His famous study of 44 ‘juvenile thieves’ (1944) identified Maternal Deprivation as being associated with delinquency and all sorts of problematic emotional and behavioural issues, including in the extreme what Bowlby termed ‘Affectionless Psychopathy’, the symptoms of which are now incorporated into Reactive Attachment Disorder. Freud postulated that the libido of the young child’s Id, having an inborn drive for physical pleasure, expresses itself primarily as a desire to be fed, kept warm and secure. The child attaches itself to the person – usually the mother – who satisfies these desires. In Integrated SocioPsychology terms, these desires are indicative of a BEIGE/PURPLE vMEME harmonic. Bowlby was also influenced by another key Psychodynamic theorist, Melanie Klein (1931; 1940), and her emphasis on early relationships and the pathogenic potential of loss. However, he was also deeply uncomfortable with her insistence that children’s emotional problems are almost entirely due to fantasies generated from internal conflict between aggressive and libidinal drives – Thanatos vs Eros in the Id – rather than to events in the external world. Although it’s most certainly not without its flaws, Bowlby’s work has been hugely influential and effectively founded a new direction for Developmental Psychology. …Psychology, as applied to children, was mostly based on either the Freudian concept of 5 psychosexual stages and the developing of a 3-part mind (Id, Ego, Superego) over those stages or Behaviourist models based on the principle that all learning is from environmental stimuli. Freud’s concept is reflected to some considerable degree in the work of Clare W Graves, with the Id at its peak reflected in the RED vMEME, with some of the Ego functions contained in PURPLE and Superego functions split between BLUE and GREEN. This, in theory, explains the child’s attachment to the mother…but what about the mother’s attachment to the child since Behaviourists decline to acknowledge the role of cognition and emotions? Many women regard the tactile closeness of breastfeeding as rewarding. Thus, it can be argued that such rewarding sensations (UCR) are associated with the baby (NS) and this creates a positive association from the mother’s side. A small minority of women even report sexual pleasure from breastfeeding! This approach is modified in the Drive Reduction and Secondary Drive theories of John Dollard & Neal Miller (1950) which also draw on Operant Conditioning. In Drive Reduction Theory Dollard & Miller talk about the child’s primary drives such as hunger and thirst being reduced by the action of feeding which is rewarding – ie: negative reinforcement in getting rid of the unpleasant cravings. Thus, the rewarding behaviour of feeding is likely to be repeated next time the child feels hungry and/or thirsty. In Secondary Drive Theory the mother providing food is a secondary reinforcer. In what is really a Classical Conditioning association, the child pairs the mother (NS) with the food (UCS) so the mother becomes the conditioned stimulus. The mother then becomes a source of reward in herself. After a while the mere presence of the mother becomes a source of comfort and the security to the child – and that serves as a secondary reinforcer to the primary reinforcer of the mother’s feeding function. The child smiling and cooing can be a positive reinforcement for the mother to carry on the feeding process. However, feeding can also be negative reinforcement if it stops a child wailing and crying which can be rather grating. To accentuate reward and maximise its effects, John B Watson, founder of Behaviourism, wrote (1928) that parents should avoid displays of affection to their children unless the display was related to a specific desirable behaviour. The Behaviourist approaches to attachment- sometimes called ‘cupboard love’ theories – have a clear logic to them. Reinforcement is obviously in element in all attachments, from infant-mother, through friendships, to adult romantic/sexual relationships. However, the Behaviourist approaches in themselves clearly fail to explain the emotional intensity of parent-child attachments, as Kevin Durkin (1995), amongst many commentators, notes. It also ignores the fact that biological mechanisms for attachment start working in the womb – see The Biological Impetus for Attachment – and that biological-social interactions between mother/caregiver and child promote the development of attachment in what can be categorised as stages during the first 2 years of life. Perhaps the greatest undermining of the Behaviourists’ notion that attachment is dependent on food came from Harry Harlow’s (ethically controversial) experiments with rhesus monkeys. Harlow (1959) (in)famously found that monkeys separated from their real mother shortly after birth preferred a ‘cloth mother’, providing contact comfort, to a ‘metal mother’ holding a feeding bottle, only going to the latter when they were hungry. The video below depicts Harlow’s finding that the infant monkey preferred to spend time with its cloth mother. For all the caveats in generalising from animals to humans, Harlow’s findings were an important influence on Bowlby in moving beyond the over-simplistic theories of the Behaviourists. Bowlby’s theory moves beyond the Behaviourist approaches and builds significantly on Freudian ideas. Effectively it provides 3 critical effects of attachment and a series of mechanisms to achieve and maintain attachment. The first critical effect of attachment is survival. This not only includes sustenance (food and drink) and general nurturing but shelter from the elements and protection from predators. The process of attachment is driven by a BEIGE/PURPLE vMEME harmonic to survive and be safe by belonging. This requires physical proximity to the attachment figure – otherwise the attachment figure cannot nourish and protect the infant. Bowlby (1958) sees a single attachment figure, usually the mother, as critical to the development of a secure attachment. This is the theory of Monotropy. According to Bowlby, attachment functions like a control system (such as a thermostat) for staying close to the mother. When that state is attained, attachment behaviour is ‘quiet’ – the baby has no need to cry and cling but can get on with play and exploration. However, when that state is threatened or unsure – eg: a stranger appears (stranger anxiety) and/or the mother disappears from view (separation protest), attachment behaviours are activated to restore it. According to Schaffer (2004), attachment behaviours are usually much more evident when the child is distressed, unwell, frightened or in unfamiliar surroundings. However, which particular responses are produced will change as the child matures and become more competent, both cognitively and behaviourally. Stimulation and exploration is critical for cognitive development. A securely-attached child often will explore but looks back periodically at the mother/caregiver for reassurance; the child may return to the mother and touch her knee before setting of to explore again. This is ‘touching base’ with their attachment figure. An insecure-resistant child – as defined by Ainsworth & Bell – is less willing to wander. Nancy Hazen & Mary Ellen Durrett (1982) found that securely-attached children were more independent explorers of their environment and were also more innovative in problem-solving. Adriana Bus & Marinus Van IJzendoorn (1988) have similar findings. They used the Strange Situation to assess the attachment types of 2-year-olds. 3 years later the children were assessed in terms of their reading interests and skills. Their pre-school teachers also completed a questionnaire about preparatory reading and intelligence. The securely attached children showed more interest in reading than the insecurely-attached, regardless of intelligence and the amount of preparatory instruction. Critical to the child feeling secure enough to explore is the mother/caregiver acting as a ‘secure base’ which is always there for the child and to which the child knows it can return at any time, especially under perceived threat. Again, Bowlby was much influenced by Harlow’s experimental work with infant rhesus monkeys. Most people have witnessed a child hiding behind its mother/caregiver when anxious – especially in the company of a stranger. Harlow – Harry Harlow & Margaret Harlow (1962) – in a rather ruthless manner, was able to push this returning-to-the-secure-base concept to an extreme with infant monkeys in a way totally unacceptable ethically with human infants – as the video clip below shows. As per Freud, Bowlby held that the first relationship – usually with the mother – was “the prototype of all later love-relations”. This ‘prototype’ he termed the internal working model – a set of schemas and complexes of schemas that form a template on which children model our expectations of relationships with others. According to Bowlby, with the aid of the internal working model, children predict the attachment figure’s likely behaviour and plan their own responses. Children then take this model forward into all future relationships. What type of model they construct is therefore of great consequence. How the internal working model formed will influence the formation of and engagement in future relationships is the basis of Bowlby’s Continuity Hypothesis. Bowlby believed that an attachment should be completed by the time a child was 3-3.5 years old or the child would suffer serious emotional harm and display a range of disturbing behaviours. As the impetus to attach has clear biological drivers, Bowlby initially thought of attachment as having a critical period – the only time in which an attachment may form. In this respect he was much influenced by the demonstrations of mother-child imprinting in precocial aninals and birds by Konrad Lorenz (1935). Lorenz thought the critical period for imprinting in such species was 12-17 hours from birth – a basic BEIGE survival mechanism essential for creatures that were mobile at or shortly after birth. However, since most human babies can barely sit up at 6 months, clearly the precocial criterion doesn’t apply to humans. The process of attachment is further compounded by the work of Marshall Klaus & John Kennell (1976) which indicates a level of biological bonding should take place in humans in the first 6-12 hours from birth. From his own work and that of Rudolph Schaffer & Peggy Emerson (1964), Bowlby (1969) settled for the concepts of attachment developing in stages and a sensitive period – a time when they are most likely to develop. Bowlby believed that for the human infant the beginnings of the fourth through to the sixth month should see the development of a monotropic attachment to the mother or primary caregiver. However, full attachment formation could take until 3-3.5 years. After this it becomes increasingly difficult for the child to form a first attachment – though Bowlby (1988) did concede that some children could still go on forming a first attachment till as late as 5 years old. Early bonding is faciltated by what Bowlby terms social releasers – the baby cooing, gurgling, smiling, etc. Bowlby holds that adult humans – women especially – are innately progranmed to respond to such child behaviours which in turn stimulate caring behaviours in the adult human. According to Bowlby, social releasers would have developed as an adaptive behaviour during the Pleistocene (stone age) era as a way of attracting adults into caring for them. Deprivation of this critical bond with the mother/primary caregiver can result in all kinds of problematic cognitive, emotional and behavioural difficulties. Effectively, when the PURPLE vMEME’s safety-in-belonging needs are frustrated, unhealthy RED will dominate the child’s selfplex to view the world as unsafe and hostile. While Bowlby doesn’t completely exclude other attachments being formed, he is unswerving in his insistence that there should be a primary bond which was much more important than any other. However, this insistent focus on a single monotropic attachment has been challenged from a number of authoritative sources. One of the most important is Schaffer who has criticised several aspects of Bowlby’s theories. With regards to attachment figures, Schaffer & Emerson’s famous study of 60 infants in a working class area of Glasgow found that, while the mother/caregiver was usually the first attachment, by 7 months 29% of the children had already formed several attachments simultaneously, with 10% having 5 attachment figures – eg: father, grandparent, older sibling. By 10 months 50% had more than one attachment and by 18 months that figure was 87%. 31% had as many as 5 attachment figures. Although at 18 months the mother was the commonly-selected attachment figure (65%), 75% of the infants studies had also attached to the father. The father, for Bowlby, is a relatively marginal figure, having no direct emotional significance. In this he reflects Margaret Mead (1949) who regards the father as “biological necessity but a social accident”. There is research that supports this view. For example, Fiona MacCallum & Susan Golombok (2004) found that children growing up in single-parent or lesbian couple families do not develop any differently from those in 2-parent heterosexual families. Most research, however, simply does not support the concept of the father being so marginal. Douglas Sawin & Ross Parke (1980) report that some fathers are just as responsive as mothers. Mary Main & Donna Weston (1981) found that children securely attached to both parents tended to react more positively to novel social situations – eg: interacting with a clown. Michael Lamb (1976) reported very young infants turn to their mother when stressed but (1977) that boys 15-24 months turn to the father when stressed. K Alison Clarke-Stewart (1978) found that most children 7-30 months chose their fathers as playmates in preference to their mothers. Ross Parke (1981) explains this by noting that there tend to be differences in the mother’s and father’s styles of play when they are compared. The father usually engages in more vigorous, physically stimulating games or unusual and unpredictable types of play (which babies seem to enjoy the most). Usually the mother plays more conventional games – eg: pat-a-cake – joins in the child’s play with toys and reads to the child. Daniel Paquette (2004) notes that fathers tend to encourage their toddlers to take risks and be brave more than mothers do. He also finds a difference in language orientation: father talk about doing things while mothers focus on emotions, to soothe and reassure the child. Fathers are seen as more fun – satisfying RED’s craving for excitement – whereas mothers are perceived as the principal source of comfort, meeting PURPLE’s comfort needs. This stimulation-over-comfort concept may help explain Schaffer & Emerson’s additional finding that 39% of their infant sample had a primary attachment with someone other than the caregiver who usually fed, bathed and changed them. Manuela Verissimo et al (2011) have shown that the quality of a child’s attachment with their father has a significant effect on their ability to form friendships at the age of 4 – effectively supporting the Continuity Hypothesis. What is perhaps key in the child’s relationship with both parents is that the PURPLE vMEME’s need for safety-in-belonging is met. While clearly there are flaws in some of Bowlby’s conclusions and research does not always support him, he was pivotal in changing the way people think about the emotional lives and needs of young children. It can be argued that ‘child centredness’ has its founding in Bowlby’s work. His work on Separation and Maternal Deprivation resulted in children in institutions being given psychological care and care moved from larger institutions to smaller family-based units. It became best practice for children to not be moved from foster home to foster home without psychological consideration. It became the norm for mothers and their babies to be kept as much together as possible in maternity units; and more and more parent contact with hospitalised children became supported and even promoted. These practices facilitated the healthy development of the PURPLE bond between children and their parents. However, Bowlby’s emphasis on the criticality of the child’s monotropic relationship with the mother has been used for socio-political purposes. Ronald Hargreaves of the World Health Organization (WHO) commissioned Bowlby to write a report on the mental health of homeless children in postwar Europe. Preparation of the WHO report gave Bowlby an opportunity to pick the brains of many practitioners and researchers across Europe and the United States who were concerned with the effects of maternal separation and deprivation on young children – most especially the research of René Spitz (1945) and William Goldfarb (1947). The report was written in 6 months and translated into 14 languages, with sales of 400,000 copies in the English paperback edition; it was published in 1951 as ‘Maternal Care & Mental Health’ by WHO. A slightly abridged version of this (edited by Margaret Fry) was published by Penguin Books in 1953 as ‘Child Care & the Growth of Love’. A second edition of ‘Child Care & the Growth of Love’, with review chapters by Mary Ainsworth, was published by Penguin in 1965. Bowlby’s 1951 seminal work, After World War II, this emphasis on the nurturing role of the mother, coming at the time it did, justified societal pressure on women to give up jobs they had done during the war years. Effectively the WHO publication codified mothers devoting their time to their children as the ‘right thing to do’ – a BLUE duty. However, there was also a degree of blue/ORANGE pragmatism in the way these pressures were applied: this withdrawal of women from the workplace created jobs for the soldiers returning from war. Bowlby’s emphasis on the criticality of the early mother-child relationship has since been used by the New Right and other right-wing politicians as a theoretical basis for promoting ‘traditional family values’ and Back to Basics campaigns which emphasise distinct gender roles for parents.